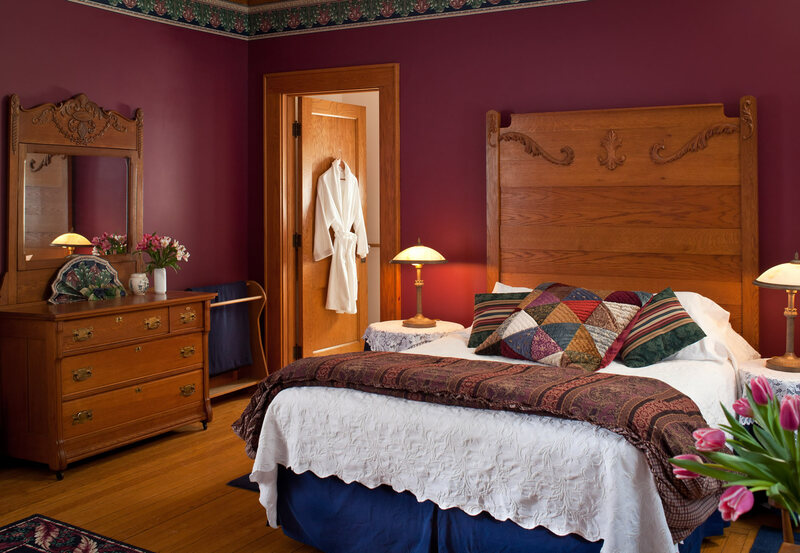 The perfect setting for a romantic getaway in Ohio, our luxurious ground-floor room is decorated in deep tones of burgundy and navy to complement the original white and red oak woodwork. 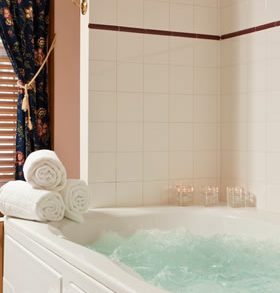 The large bathroom has a two-person Jacuzzi-style whirlpool tub. 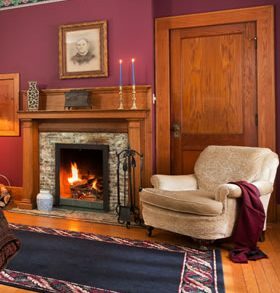 A cozy wingback chair and Victorian fainting couch invite you to settle in and enjoy the wood-burning fireplace. 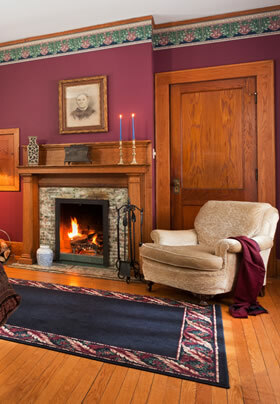 Large airy windows give a spectacular view of the backyard and the wooded hill behind the inn. 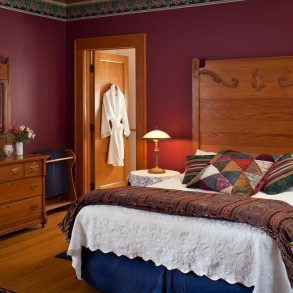 With its oak high-backed king-size bed, this is the most beautiful and romantic room in the inn and is a lovely location for an Ohio vacation or honeymoon getaway. 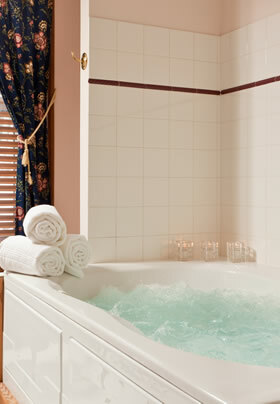 This room is for the guests who want to be at the center of the activity in the inn. Those looking for seclusion are advised to choose a cottage or guesthouse room.